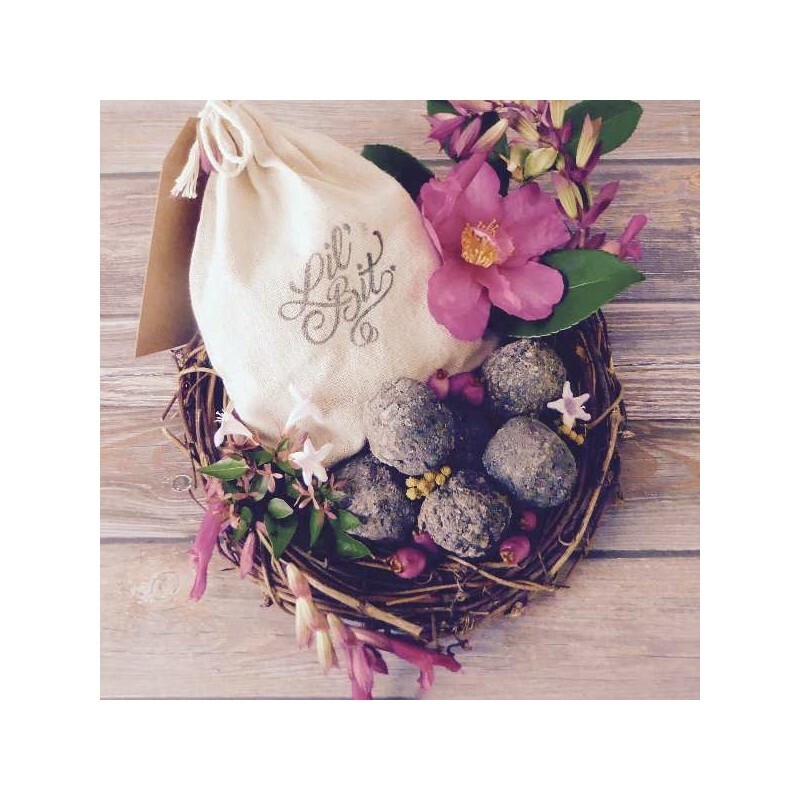 Bee Seed Bombs are balls of organic matter impregnated with flower seeds that will blossom into beautiful flowers and feed our little friends, the bees, while brightening up your day. Simply toss anywhere that needs a spash of colour and watch them bloom. Contains a mix of organic annuals to be sewn in summer. 6 seed bombs in a linen drawstring bag. Bees are one of the most important creatures on our planet and we rely on them for almost two thirds of our food. Bee populations are under threat due to the use of agricultural chemicals including the ones we use in our own back yards. These seed bombs are designed to provide bees with a healthy habitat so they can collect pollen and nectar for the hive. 6 Seed Bombs. Each ball is approx. 1 inch in diameter and comes in a beautiful, linen, drawstring bag. Safe to send Australia wide. Loved the idea of these, but they didn't explode with plants in our flower garden as expected. We had a few seedlings come up, but didn't really survive past the seedling stage, except for 2 plants. Gave some away as stocking fillers and have planted the rest. Just waiting for them to pop up, and excited to see the mix of blooms! I placed these throughout my front yard, which is already quite popular with bees. I found burying them under some soil was more beneficial than simply throwing them onto the top soil like the instructions say. I can see that one has started to germinate, I'm really excited to see what types of flowers pop up.